St. James Town is the largest high-rise community in Canada. It consists of 19 high-rise buildings (14 to 32 stories). These massive residential towers were built in the 1960s. 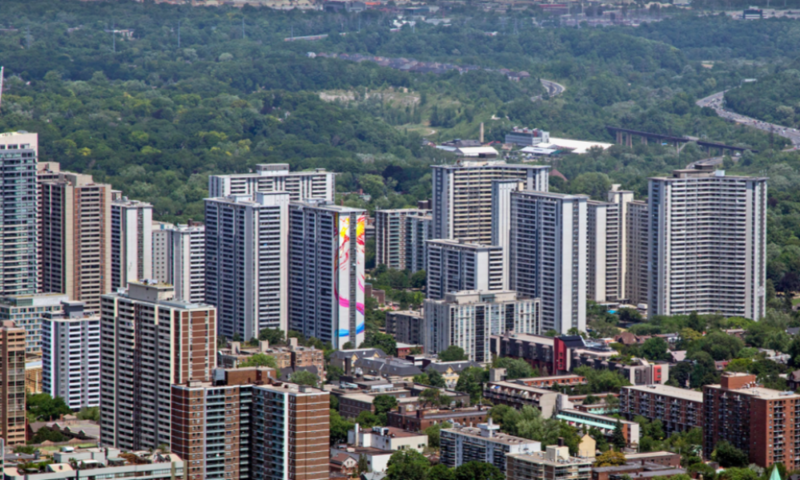 Approximately 17,000 people live in the neighbourhood’s 19 apartment towers, making it Canada’s most densely populated community, and one of the most densely populated neighbourhoods anywhere in North America. Children of St. James Town can face daunting social issues, have difficulty engaging with the wider Toronto community, and are at higher risk of negative social outcomes. There is a dearth of resources for children and youth, particularly in the arts in this community. Many families cannot provide access to cultural capital, and as a result, members of this community continually fall behind. Art City provides free art workshops, snacks and field trips for all students attending the program – eliminating one major barrier for artistic expression. 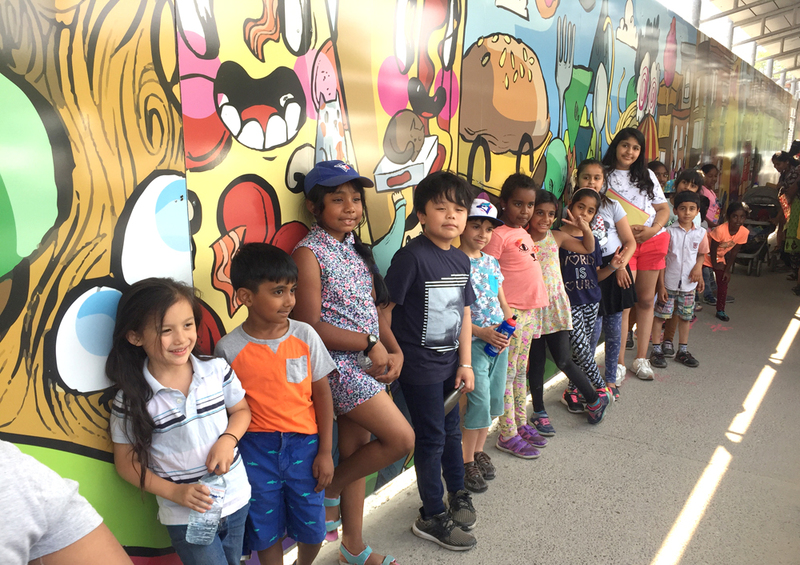 Art City provides a safe, inspiring learning environment to facilitate child development through a positive artistic expression while engaging the youngest, and most vulnerable members of the neighbourhood with the wider Toronto arts community. Providing the children with a positive, respectful space and building a skill set focused on creativity and communication creates opportunities for them to build self-esteem, awareness of their own place in the community and a sense of belonging. Participants are challenged with new experiences that will stimulate their artistic sensibilities and provide them with the tools they need to be confidently engaged with their immediate community, and community at large. They are better equipped to address life’s challenge; and the experience of participating in Art City programs provides lifelong learning rather than short-term benefits.